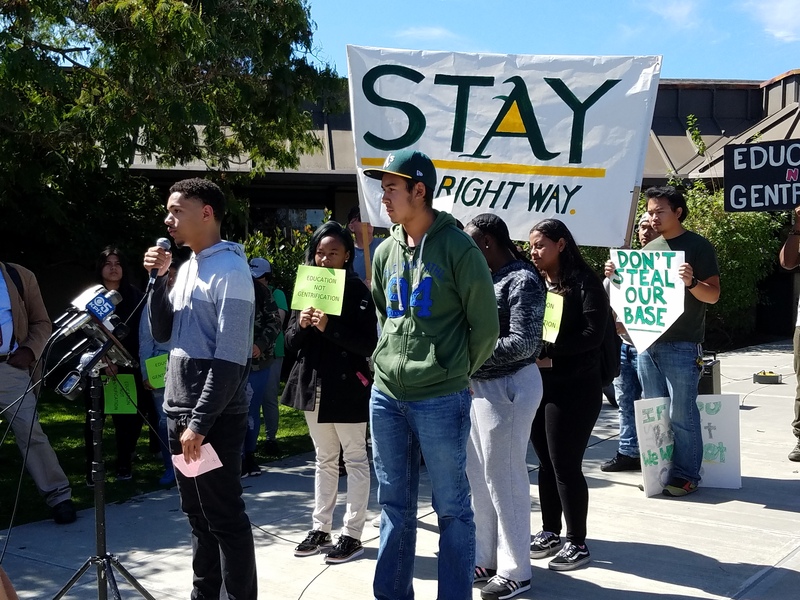 On Tuesday, Dec. 5, the Board of Trustees of the Peralta Community College District voted to kill the proposal to build a stadium for the Oakland A’s baseball team on Peralta land. The plan, called by A’s president Dave Kaval “Stadium Village,” would have included building condos, high end restaurants and boutiques and hotels. The scheme was facing smooth sailing: Oakland’s mayor, Libby “Yuppie” Schaaf had said that since it was going to be privately financed, the A’s had a right to build it where they liked. The city council member for that district, Abel Guillen, had introduced a face-saving measure designed to pretend that the plan would not lead to massive gentrification of the area. 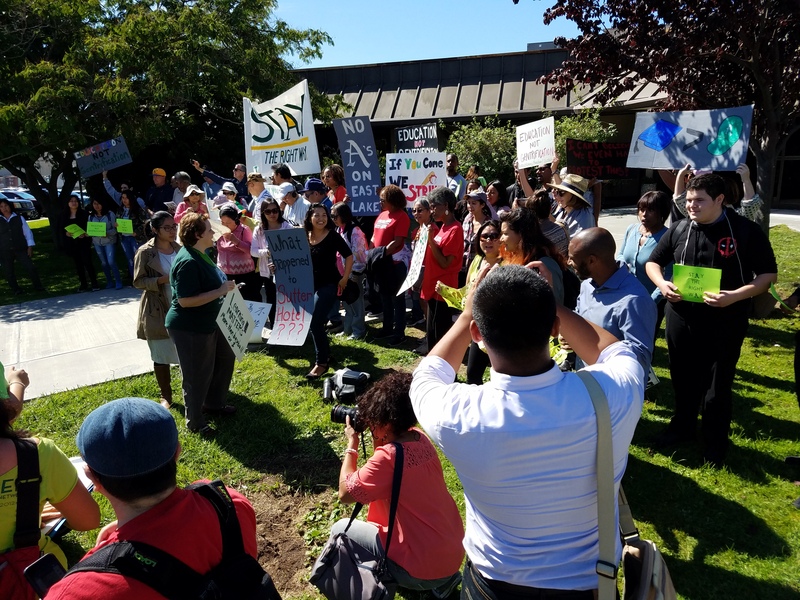 Peralta Board president Julina Bonilla was silent on the issue, but the non-profit she works for – Oakland Jobs Center – is co-sponsored Phil Tagami‘s Capital Investment Management Group. Tagami is probably the most prominent real estate investor/gentrifier in Oakland. Peralta chancellor, Jowell Laguerre was also on board. While he denied having made any decision, one simple fact showed otherwise: His hiring of Sharon Cornu as special “consultant” on the issue. Cornu, former head of the Alameda County Central Labor Council and then deputy mayor under former mayor Jean Quan, had also worked for the A’s too! At the October board meeting, she presented a “report” that was really a puff piece for the proposal. In it, she repeatedly referred to the plan as an “opportunity.” And she was speaking for Laguerre. And the A’s had already agreed to a $6 million bribe to the District, disguised as payment for them to merely “study” the plan. 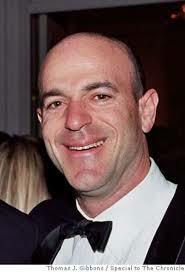 Oakland A’s owner, John Fisher. It never really was about baseball. As the SF Chronicle’s Scot Ostler explains, Major League Baseball (MLB) had faced a lawsuit from the city of San Jose that could have threatened MLB’s anti-trust exemption, and the A’s had implicitly backed the suit. Possibly in retribution, MLB had eliminated the A’s revenue sharing benefits. And Fisher, a major financier, is interested in profits and profits only. When informed of the decision, A’s president Dave Kaval said “we are shocked.” He thought it was in the bag, and given the lineup he had going to bat for him, he was well justified in thinking that. What happened was the power of the working class. That’s what happened. The Peralta Federation of Teachers conducted in depth discussions at all its campuses and voted overwhelmingly to oppose the deal. The Laney Faculty Senate voted the same. And a coalition of community and environmental groups started getting together along with Laney students and staff to organize against it. When the Oakland Zoo directors wanted to take over public land at beautiful Knowland Park to build a high end restaurant, a cable ride and office space, the City Council approved with hardly a whimper. When real estate developers wanted to build ritzy condos almost across the street from Lake Merritt, the city council gave them the green light. And just recently, Mayor Schaaf hired Richard Gilchrist as head of Oakland city planning. Gilchrist is fresh from New Orleans where he oversaw the gentrification of that city as head of a similar department there. But these are new times, some of the fighting traditions of Oakland still live on… and next year is an election year, including for Julina Bonilla. And Laguerre, who ran into trouble for his handling of finances in his previous post at Solano College District, is right in a way. The Peralta District is already severely in the red. And the tax “reform” that is winding its way through congress will not help, nor will whatever budget gets passed in Washington. Kaval said, “All we wanted to do was enter into a conversation about how to make this work for all of Oakland, Laney and the Peralta Community College District.” Maybe a modern-day Rip Van Winkel, who just woke up from a 100 year sleep, could believe this, but when you look at the lineup of players, anybody who’s been watching wouldn’t. What it’s about is privatizing education and gentrifying Oakland. And the ongoing underfunding of Peralta, as well as public education in general, is providing an excuse for going further down that road. As Laguerre’s comment shows, he’s completely open to finding some private “partner” or another. This is the first step towards privatization, since these private financiers will always expect a say in the running of the institution. As for the Peralta Board, if they are serious, they will ask Laguerre for his immediate resignation, since what he did was blatantly try to undermine them. If the Board doesn’t, then this shows that they, too, are just biding their time, waiting for people to go back to sleep. For full funding for Peralta and all public education. Tax the rich, starting with levying a tax on the Port of Oakland, to provide the financing. For a massive public housing program. The private, for-profit market has proven itself incapable of resolving the housing crisis. And what’s called “affordable” housing is a fraud since it is based on the average income. As the “average” increases with gentrification, what is considered “affordable” increases along with it. What’s needed is a program of public housing, planned and run under the control and management of the workers and residents themselves. For real jobs for all who need it – full time or part time jobs for those who want it, with a minimum wage of $20 per hour and full benefits. The A’s claim they’re providing jobs, but the jobs they provide are around $15/hour or less. At that pay rate, workers still cannot afford to live in Oakland! Some bitter truth is needed here. The entire political establishment in Oakland is dominated by the liberal (some call it the “progressive”) wing of the Democratic Party. What this establishment represents is the marriage of the union leadership and the different NGO’s with finance capital. It will never advance such an agenda. Therefore, this movement should build its base and run its own candidates in the 2018 elections, especially for positions in the area where Laney College is located. That would include for Board of Trustees against Julina Bonilla and for Oakland City Council against Abel Guillen. The would have to make it clear that they are running outside of and opposed to the entire Democratic Party political establishment in Oakland. And just as a campaign along the above lines, if it’s serious, could spread to other cities across the United States, so such electoral campaigns could spread and could be the first step towards building an alternative to the capitalist-controlled Democratic Party. That would mean a real step towards building a mass, working class political party in the US. Now that would really be a huge step forward.